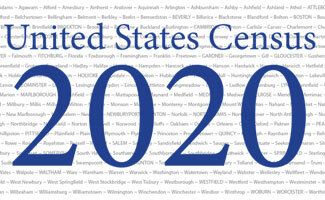 The UMass Donahue Institute's Population Estimates Program, in collaboration with the Secretary of the Commonwealth, has just launched the Massachusetts Census 2020 Planner – a Massachusetts friendly interactive web application to display hard-to-count populations by city and town. Using data from the U.S. Census Bureau's Planning Database, the map displays low-response scores for each municipality to the Census block-group level and includes layers for other demographic variables associated with hard-to-count populations. Point-layers for libraries, senior centers and schools are also included to assist in outreach planning efforts. The importance of the Census is apparent in many of the activities supported by the UMass Donahue Institute. “A complete count in Massachusetts translates into a fair share of funding and political representation down to the most local level, affecting local and statewide budgets for schools, public safety, transportation improvements – and so much more. With so much at stake for Massachusetts, we wanted to ensure that the outreach advocates working hard to get out the count have the data support they need to prioritize their efforts and resources,” says Strate. Click here for the Massachusetts Population Estimate Program Projects and Initiative and use this LINK to access Resources for Cities and Towns. Susan Strate, Research Analyst Ken LeFebvre at UMass Donahue, in consultation with Matt Schlaikjer of UMDI and Uriel Molina at Secretary of Commonwealth’s office, put this interface together using MapBox. As of today, it is now live on the UMDI website and will soon be linked from the Secretary of the Commonwealth’s website as well.